Young bands from Harwich and Jaywick Rock Schools will provide an evening of classic hits to celebrate their 10 year anniversary. Shakespeare Schools Foundation is proud to present the world’s largest youth drama festival at West Cliff Theatre, featuring a series of unique abridged Shakespeare productions by local schools. Probably the most entertaining group to come out of the 60s and 70s. Their musicianship, their harmonies and of course their humour makes them what their peers call them ‘The Guvnors’. They are supremely talented, a showbiz phenomenon and the best tonic the N.H.S. could give the population. Winners of the UK Rock and Pop awards as ‘Best Entertainers’. They are the only group to have toured with the Beatles and twice with the Rolling Stones. A show not to be missed. The Tiptree Academy of Performing Arts brings you Elf The Musical JR. Based on the cherished New Line Cinema hit. Elf JR features songs by Tony Award-nominees, Matthew Sklar and Chad Beguelin, with a book by Tony Award-winners, Thomas Meehan and Bob Martin. ‘The Accrington Pals’ follows the story of the innocent and enthusiastic men who volunteered their services to their country after Kitchener’s calls for a New Army. Their experiences of life on the Western Front are contrasted with the women who are left behind in Accrington, women who come together as friends when facing financial, social and sexual deprivation, as well as being thrown into the social changes that came along with the absence of many men. A Celebration of Cinematic Greats. Come join the students of Theatretrain as they take you on a cinematic journey filled with songs, dance and extracts from all the shows you know and love including The Greatest Showman, Madagascar, The Addams Family, Toy Story and Charlie and The Chocolate Factory to name a few. A treat not to be missed and fun for all the family. 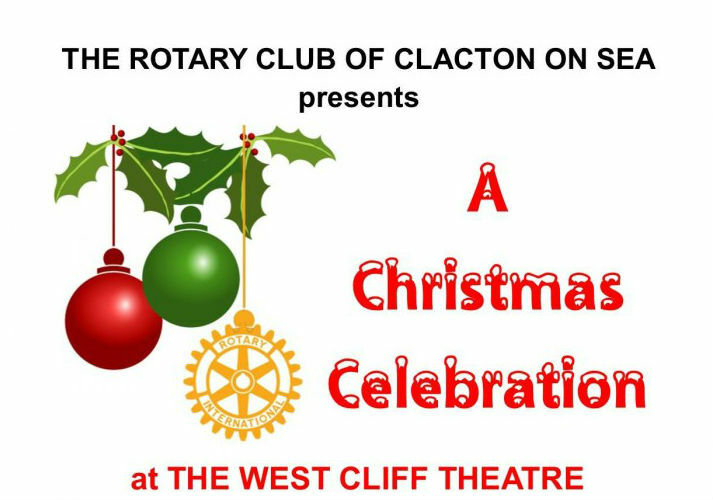 The Rotary Club is back again with their annual carol concert at the West Cliff. Come and enjoy a wonderful afternoon of traditional songs featuring Tendring Brass, Tendring male Voice Choir and St Philomenas School Choir. A collection will be taken on the day which helps to fund Christmas Day meals for the elderly & disadvantaged. Following the success of “A West End Songbook’ Spark Theatrical Entertainment are returning with a special festive performance. An evening of song and dance showcasing songs from all your favourite musicals, with a sprinkle of Christmas magic. Featuring a cast direct from London’s West End, plus supporting artistes. A memorable evening not to be missed! From the producer of Peter Pan and Aladdin, the classic rags to riches tale of Cinderella will be transformed into a breath-taking youth extravaganza with dazzling sets, gorgeous costumes and music that the children will know and love. Packed full of comedy, with plenty of audience participation, Cinderella is the ultimate New Year treat for children of all ages. You’re all invited to the ball and we’d love for you to join us! 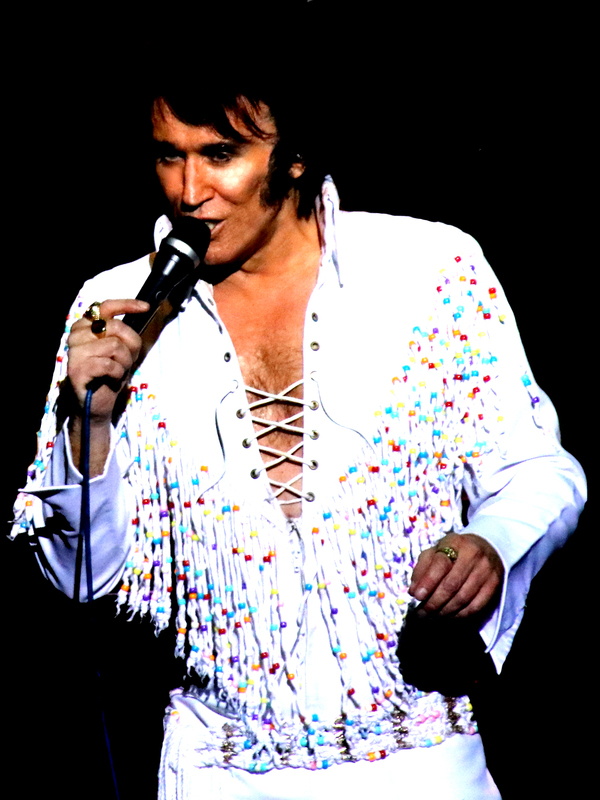 Michael King’s ‘On Tour With Elvis’ is without doubt the UK’s authoritative touring Elvis show. An exciting Vegas show filled with Elvis’ greatest hits and more delivered live in true Elvis style. This is a night of pure breathtaking Elvis entertainment plus the best Elvis sound you will hear! Michael is the only UK Elvis performer to have received the ‘Las Vegas Elvis Icon Award’ for his performances there with Elvis’ very own Jordanaires. Following the success of his current Autumn tour, Irish Country-Pop crossover star Nathan Carter announces his Born For The Road 2019 tour. Without a doubt, he is fast becoming one of the UK’s most prolific touring artists, with his energetic showmanship proving irresistible for fans across the UK. Just a few tickets remaining! He’s back. The keenly-awaited brand new tour show is here. Packing more energy than a Duracell factory, Russell’s RS Turbo laugh engine will motor through love, family and life- once again proving that the fast and the curious amongst us, see more stuff, and get more done. 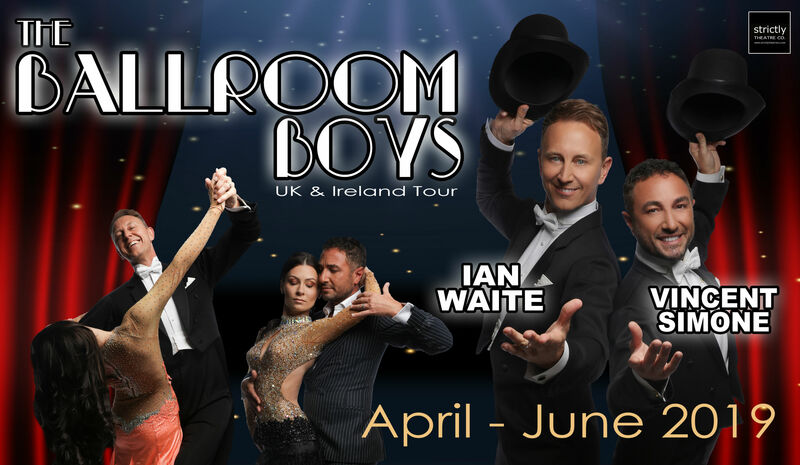 Cheekier Funnier and as Spectacular as ever, this amazing show has been touring in the UK for 21 years since it was created for the world famous Edinburgh Festival. A cabaret like no other cabaret performed by girls like no other girls. Featuring 16 of the world’s most beautiful and stunning showgirls ………..Who just happen to be men! Following the huge success of Michael’s previous visit to The West Cliff Theatre, he returns in 2019 with his fantastic show on April 25th & The Legendary Brendan Shine joins him once more as his special guest on the night. Michael has gone from strength to strength in the last 4 years packing out venues all over Ireland & The UK for both concerts & dances. 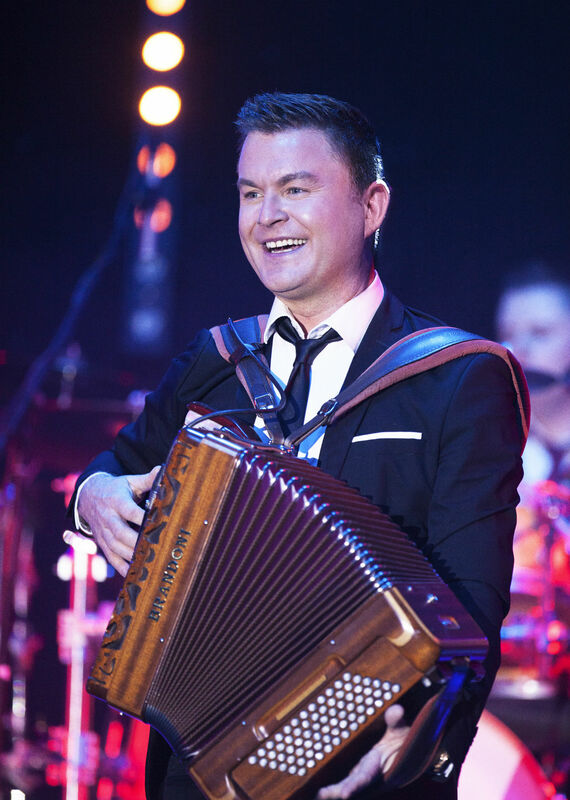 Michael & his talented Band are renowned for their energetic performances & with Michael’s musical talents he plays both his famous “red piano” & accordion at his shows. He is dedicated to giving his followers an unforgettable show each time they see him. And with accolades like “Best Country Dance Band” at The Irish Country Music Awards & “Performer of the year” at The Sunday World country Music Awards under his belt there is no stopping the Kildare man! Michael has just released his 1st Live Double Album since his last visit and has had numerous hit singles including “Joey on the Fiddle” & “Then it’s Love”. The Bootleg Shadows have been entertaining audiences in theatres for over 10 years with their celebration of the great music of The Shadows and Cliff Richard. You can expect to hear all of the hits, from Apache all the way through to Riders in the Sky and sometimes a few ‘wild cards’ are thrown in for good measure. Who doesn’t love a bit of Duane Eddy, The Tornados, Telstar, or even Fleetwood Mac’s Albatross? The attention to detail in recreating the sound and moves of The Shadows is second to none, even down to the trademark synchronized dance steps, as well as using period instruments and amplifiers. This feel good show will leave you smiling and dancing all the way home and not only will you have had a great night out but you will have also helped raise money for a worthwhile cause; the East Anglian Air Ambulance. 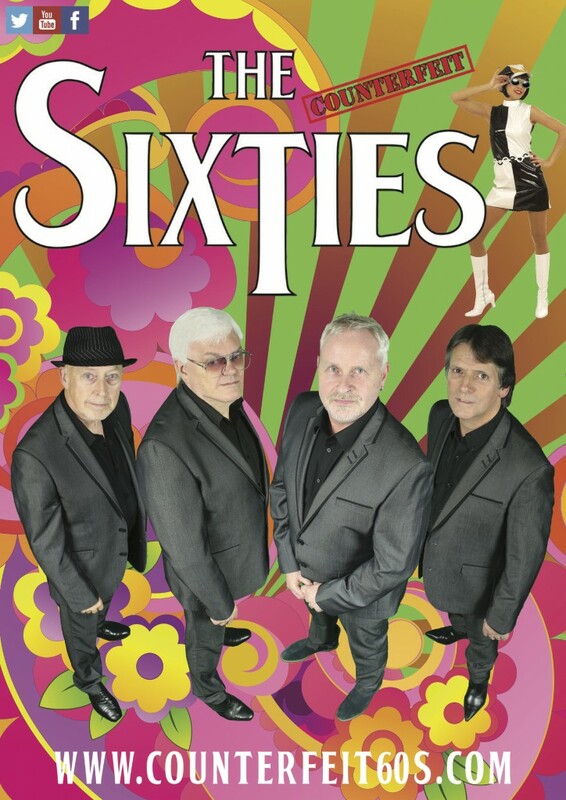 As Britain’s No.1 tribute show they bring alive the magic of the sixties, with their tribute to over twenty five bands of that era. The show encompasses everything from that period, from the clothes that were worn, to flashbacks from television history, including: TV programmes, adverts and even clips from the original bands. Join Dorothy on her magical adventure ‘Over the Rainbow’ in this all new show from KD Productions. This fantastic family show is fun for all the family and guaranteed to have you smiling all the way to Oz and back as Dorothy and her friends battle that Wicked Witch. This is a feel good show with modern songs the kids will love and that classic story we all know and cherish. Andy Abraham is known across the country as the runner up of ITV’s 2005 series of The X Factor. He captured the hearts of the country then and will do so once again, as he has masterminded a special new tour called The Nat King Cole Songbook. Throughout his career, Nat King Cole recorded more than 100 songs, and so Andy has had the unenviable task of selecting just a handful of tracks for the show. While Andy certainly hasn’t ignored the challenge that comes with stepping into the shoes of a man like Nat, he has already successfully covered hits from some of the most legendary music icons, so is the perfect vocalist for the feat. And, with his versatile voice and undying passion for Nat’s music, there is no doubt that he will do the man, and his music, great justice. The show itself will be a mix of some of Nat’s most-loved songs, and, always a stickler for keeping his shows interactive Andy will also include intervals of thought provoking commentary throughout. It’s been 10 years (actually 11 now) since Lee Mead first donned the coat in the West End Production of Joseph & the Amazing Technicolor Dreamcoat. So join Lee and his amazing band as he takes you through the last ten years of his life. Featuring songs from the classic shows he has starred in, such as Phantom of the Opera, Miss Saigon, Chitty Chitty Bang Bang, Legally Blonde, Wicked and many more. So come along for a fantastic evening of songs and stories and you never know, Lee might don the coat once more!